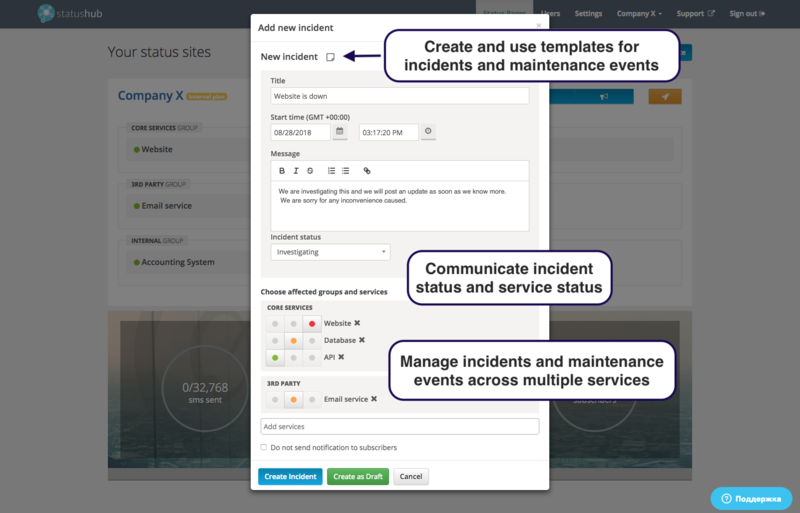 StatusHub is a flexible IT incident, status, and event communication tool helping to keep your impacted staff and customers informed effectively during service disruptions. This integration allows xMatters to push incidents to StatusHub, this then automatically updates the StatusHub website and sends real-time notifications to all status subscribers through their selected channels, such as email or SMS. 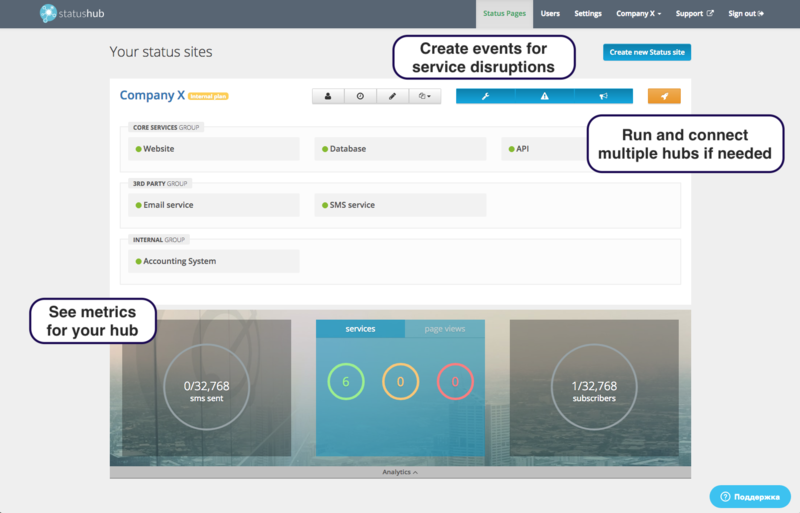 Integrating xMatters across your monitoring and service management tools allows you to take action and update StatusHub directly from any alert no matter which tool the incident originated from. 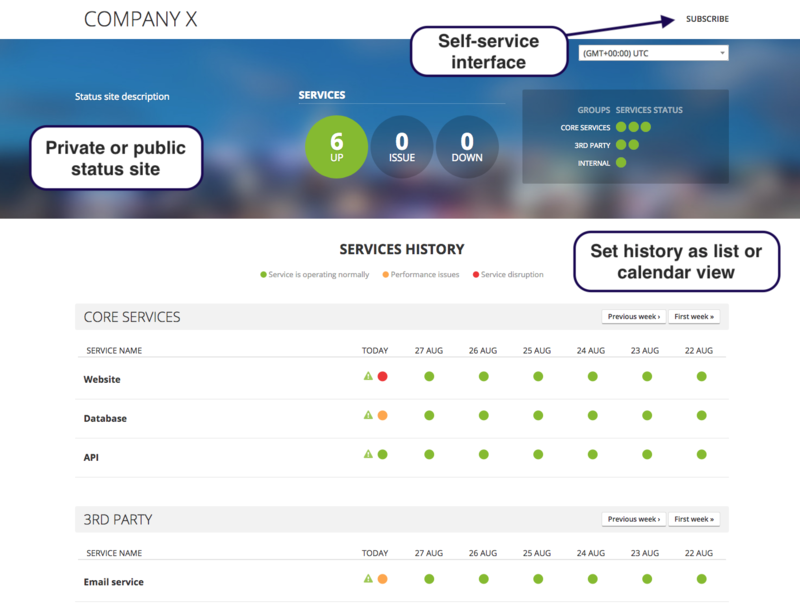 Automatically push the latest updates to StatusHub via a service management ticket, chat tool or by taking action directly from an xMatters alert. xMatters eliminates the need for manual updates to StatusHub, allowing your team to get back to resolving incidents instead of worrying about communication to affected users.